Cutler wants to return for game versus Lions; do we want him? Jay Cutler can take as long as he wants to return from his groin injury. No rush. Josh McCown is looking fantastic in Cutler's absence. He played very well against the Redskins, but the defense just couldn't stop them. 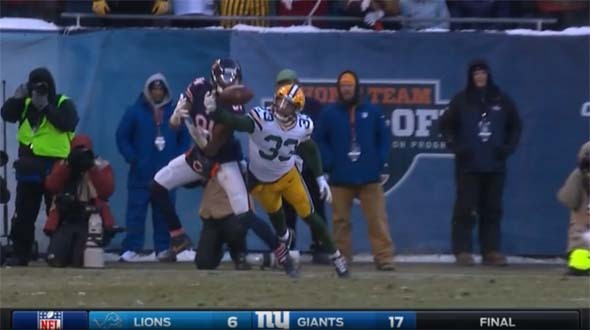 He also played exceptionally well against the Packers, including managing a late game scoring drive that ate up almost a full 9 minutes of the fourth quarter clock to seal the win for the Bears. 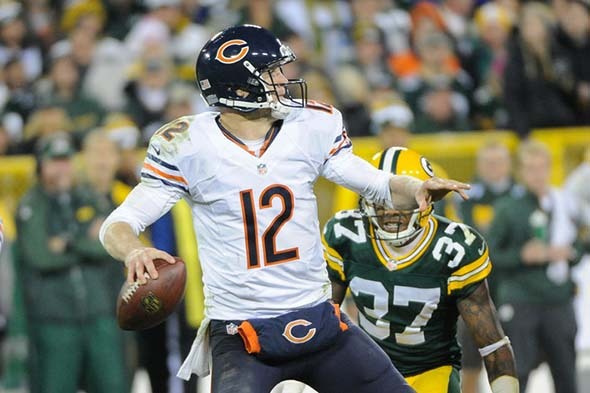 In fact, McCown played a near perfect game against the Packers. Trestman's gameplan was very aggressive, and he put the game squarely in McCown's hands early on. He hardly missed any throws, and the few incompletions were usually the result of a receiver dropping the ball (Marshall had several drops). I only noticed two or three throws that looked significantly off the mark, and every one of them was a very safe miss. On top of that, McCown made several good plays under duress, including some scrambles for first downs and weaving around the pocket in order to sling the ball out to a receiver. And he did all of this without losing his chewing gum! Josh McCown has looked exceptional as a replacement for Jay Cutler!